Author Ann Gaylia O'Barr visits today! She brings with her, in the form of her latest novel, all her experience as a Foreign Service officer in the turbulent Middle East. Tender Shadows is one of seven such novels and will appeal to lovers of foreign lands, culture, adventure, and romance. When Beth Wilhite’s U.S. State Department job assigns her to an uncaring Washington, D.C. following the 9/11 terrorist attacks, her intense loneliness leads her to make decisions that clash with her values. Then she receives a new assignment to the Middle Eastern kingdom of Al Hajar and a chance to serve with an old friend, Joe Harlan, widowed a few years before. Can she overcome the grip of past choices? Not yield to them again? Can Joe accept what she’s done…and move beyond, perhaps even to loving her? Joe’s daughter, Annie, working under Beth at the U.S. embassy, deals with her own secret choice. And the young diplomat, Palestinian-American David Antony, struggles with traumatic stress because of a choice he made earlier in Iraq. Yet Annie and David are inexplicably drawn toward each other. Together, might this thrown-together community find courage to live out his or her individual calling…for such a time as this? And find a forever love? Ann has at one time or another been a full-time wife and mother, computer programmer, historic preservation planner, Foreign Service officer with the U.S. State Department, and, since 2004, full-time writer (more or less). OakTara has published six of her novels. The latest is Tender Shadows, which came out this spring. 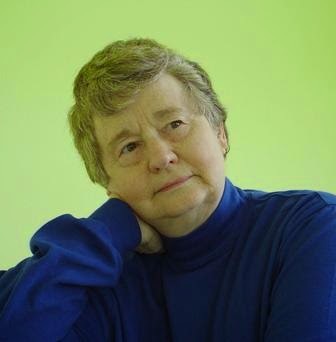 Her last article was “The Diversity of God’s Call to Writers” in the winter 2012 issue of ACFW Journal. Ann, many of the major characters in your novels are American Christians who serve their country at United States embassies overseas, as you did. What kinds of tasks did you and your colleagues perform overseas? The work is tremendously varied. The web site www.state.gov gives some idea of what Foreign Service officers do. My job as a consular officer included aiding American citizens overseas. Some tasks were routine: renewing U.S. passports and performing notary services. Others were anything but routine, such as notifying families in the United States that a loved one had died overseas or visiting Americans who were jailed in the foreign country and reporting on their conditions--to the families and to the State Department. How did your experiences influence your writing? Observing the United States from other cultures, I developed an interest in why and how this country and its culture became what they are in the twenty-first century. The changes in our country from 1990, when I came into the Foreign Service, until 2004, when I left, have been tremendous. I was assigned to Saudi Arabia during both Gulf Wars (1991 and 2003) as well as the terrorist attacks of September 11, 2001. As we all know, the changes haven’t stopped since then. Two observations stand out: 1) How decadent some foreigners judged our culture, based on the sometimes hedonistic lifestyles illustrated in the media. 2) For America to be the world power that it is, many Americans, including American Christians, often appeared not interested in what goes on in the world outside our borders. A lot of my stories concern Christians working to explain the country they represent to foreigners. Beset with the same temptations and challenges that Americans experience domestically, they attempt to live out their Christian commitment in their foreign settings. The settings may reflect these temptations and challenges through a different lens. Is this especially true for Tender Shadows? I think so. A couple of the characters have strayed further from their commitments than in any of my other novels and struggle to find their way back. The small embassy community they inhabit means they work out their problems in closer quarters than in most domestic settings. Plus, foreign demonstrations at the embassy, along with concern over hostility toward Americans, heighten the tension and outline the challenges in a deeper hue.